Once again, I find the old blog has been neglected. Reasons for this are several: time, lack of; worthwhile, nothing to say that’s; way, life getting in the. The workbench is busy. Having said that there isn’t much to actually show for it. Several client builds have reached an odd kind of stasis where there’s ongoing work but not much to see. The photo shows five part-built models, but doesn’t show four others I’ve started, or the growing pile of unstarted models! 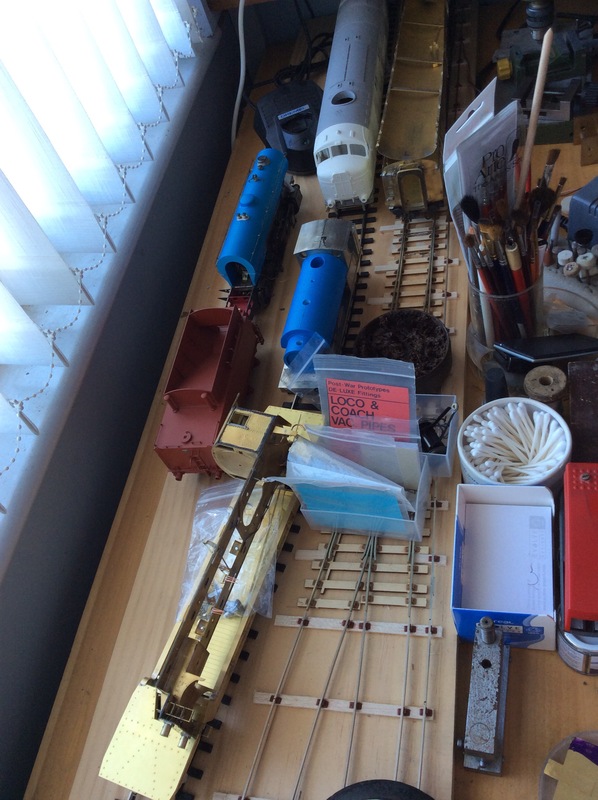 I’ve begun a process of building up some of my own models that have been in storage for some years, with the idea of using them to populate my table when I demonstrate at model exhibitions. 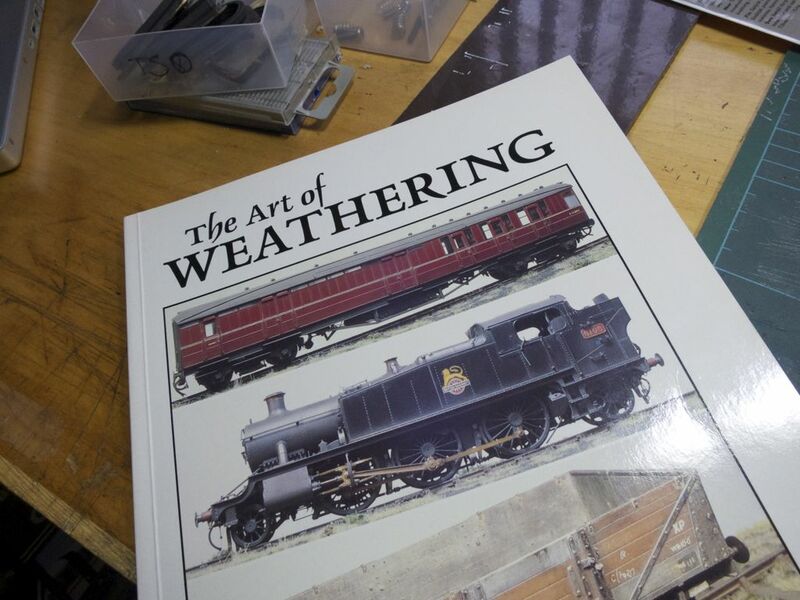 You see, I’ve built some lovely models over the past few years but they don’t hang around once they’re completed, tending to go to their owners, so I can’t show them off to a wider public. Having a semi-permanent collection of various models will be useful, I think. In other news, a general election has come and gone. After one of the dirtiest, fib-ridden and frankly far too long campaigns, the result, as you might expect, was not quite what I had hoped for. In fact, it took me rather badly—yes, even cynical old me—with the result that I’ve been trying very hard to not fall ill over it. I’m currently undergoing a battery of tests to see what might be wrong with me, but so far nothing has surfaced. The election results have also prompted some serious discussions at Snaptophobic Towers about moving somewhere else. It seems neither Best Beloved nor myself hold out much hope of things improving round here. Of course, I could get off my backside and actually try and do something about it, but there’s that thing called “lack of time”. Well, it’s an excuse anyway. On the up side, it’s encouraged us to do all the things round the house and garden that we’ve been putting off for so long, with a view to improving likely selling prospects. Even if we never sell up and move out, we’ve made where we live nicer. Photography. Now, there’s a thing. I haven’t been out for a proper photo expedition for ages. The passion has simply wandered off, and is probably doing something more interesting without me. I very nearly decided to sell all the gear a while ago. I know. It shocked me, too. 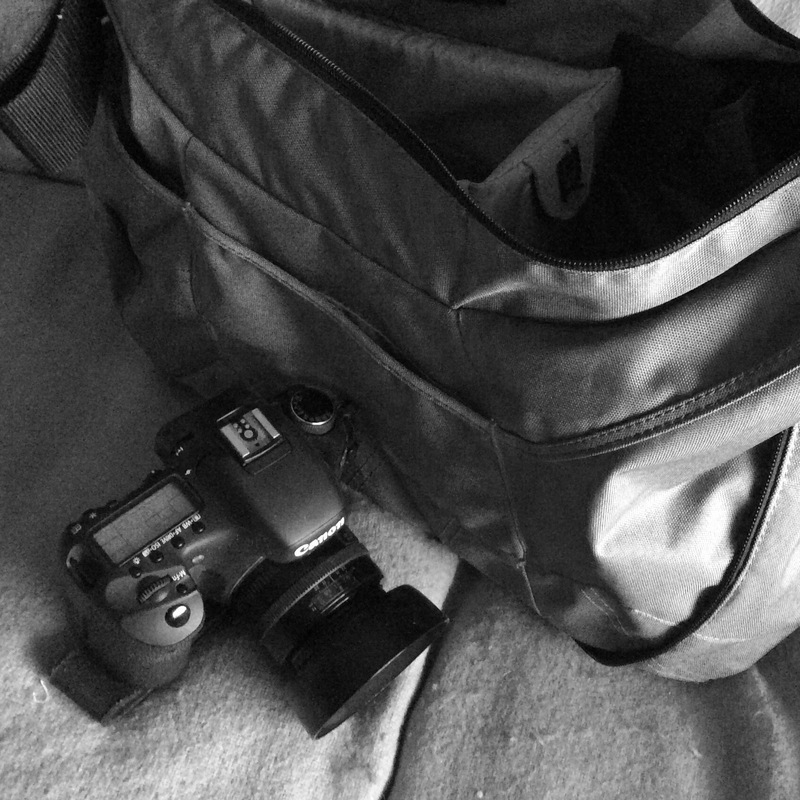 I need something to give me a kick up the arse and to encourage me to blow the dust off the gear, and to get out there to explore again. So, here we are, half-way through 2015. This year is simply flying by, and if I’m not careful I might miss it! Hardly any time to myself! It’s good to be busy. I am still staggered by the amount of work that’s come my way in the past eighteen months or so. If there is a problem, it’s I barely find any time for myself any more! 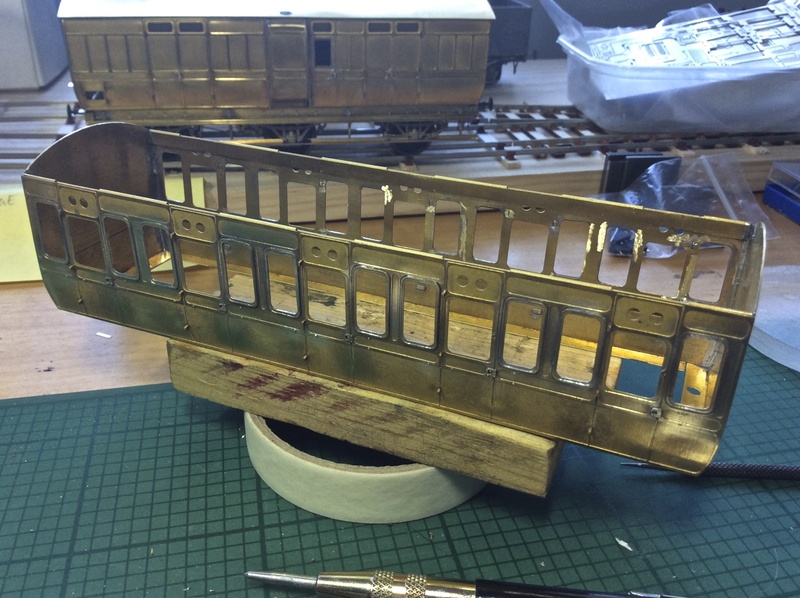 For a start, I’ve got several 7mm scale broad gauge coach models under way. 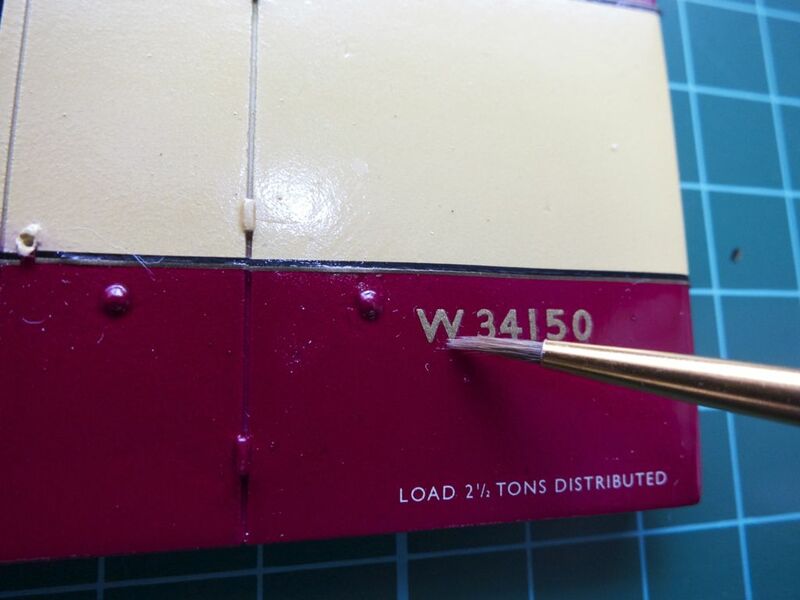 This one is a passenger luggage van (PLV), and is nearing the point where I can begin to paint it. It was recently joined by a passenger coach, known as a “convertible” because it was a body designed for the narrower standard gauge but carried on a broad gauge underframe. When the big gauge swap took place, these coaches were brought into the works and the bodies swapped to the narrow underframes. It has reached the point where interior partitions and floor need to be fitted, and then it can also have the paintwork begun. 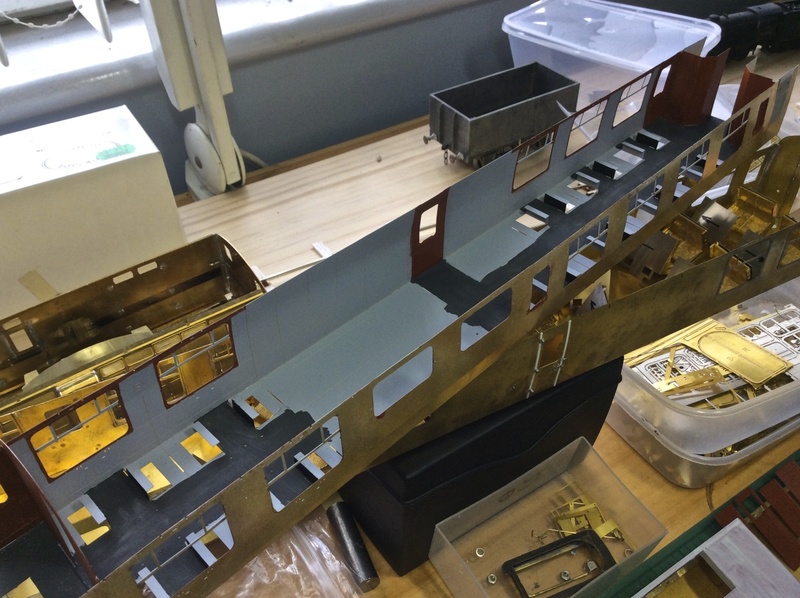 While it’s in the paintshop I shall begin work on its underframe. Last week, the client for this build sent me an email outlining his three year plan for building. I will be busy for a while yet! 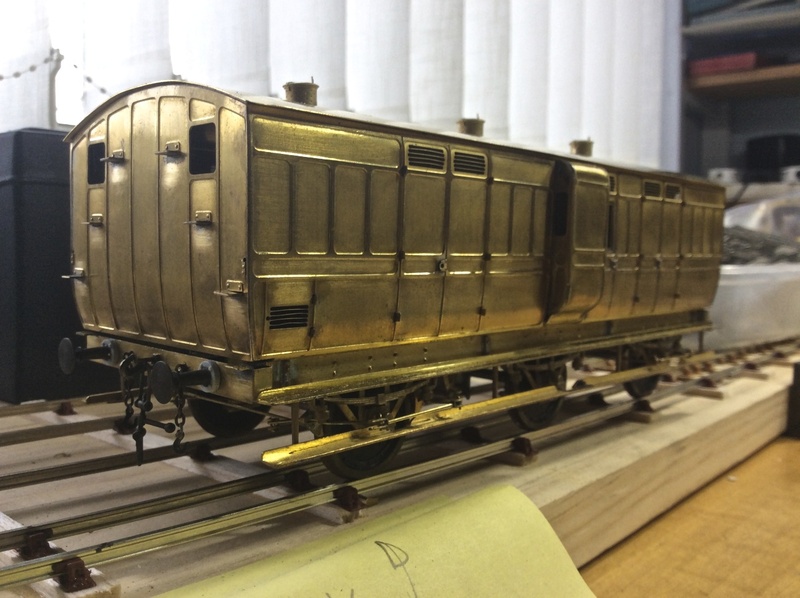 Meanwhile, at the other end of the bench, a long-running saga with an etched brass Mk1 coach kit has taken a turn for the positive. I got stuck with a problem fitting the roof. 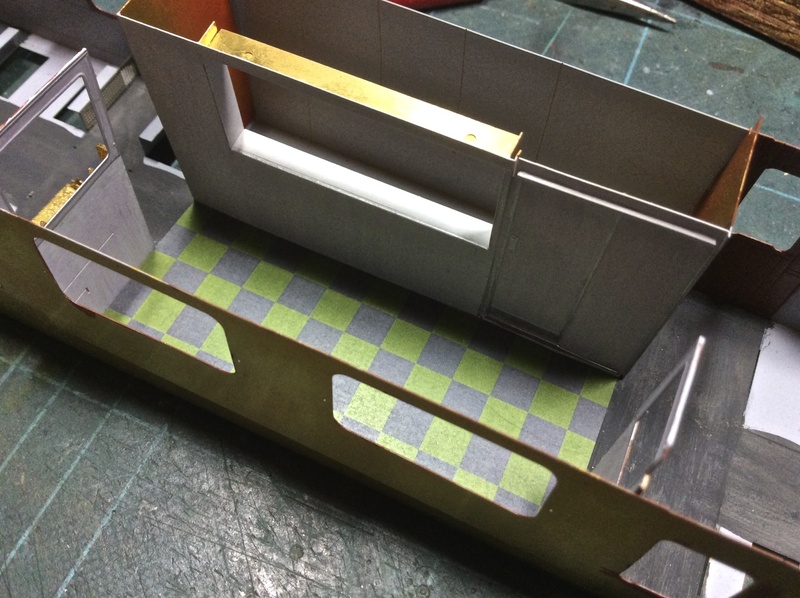 A workable solution has turned up, so I have begun work fitting out the interior. What’s not obvious here is the interior is a complete inner shell which fits inside the main bodywork. I’ve started to paint the inner shell, and most of the main fittings have been made up and painted. I just need to assemble the seating bays, and they can be primed and painted, ready to fit later. Here’s the bar area of this coach—it’s coded as an RMB, Restaurant Miniature Buffet. The counter and bar dividers are posed here, while I work out whether I like the colour of the floor tiling. As well as this pair of commissions, I have two 10001 diesel locos (for different clients! ), a 2-8-0 Austerity steam loco, a lineside fuel depot… there are also commissions I have got that haven’t even made it to the workshop yet. I’ve had to work out a card index system to keep track of things, and some kind of schedule so that builds all make some progress rather than one being favoured to the detriment of the others. I make models of things professionally. You can find out more at my web site, and find me on Facebook. I am always keen to take on new commissions, but bear in mind I am looking at the middle to end of 2015 for new works. The saga of our car woes has drawn to a close, with l’Atomo being somewhat ignominiously hauled away on the back of a breaker’s lorry. A new adventure begins, as our newly-adopted car insinuates itself into our lives. It still has to exhibit some personality traits before it receives a proper name, though. Right now, it’s just called “Car”. I have never been able to afford a brand new car. I have been custodian of a brand new car, but that was leased by someone else and I had the use of it, so it’s not quite the same. I very nearly got a new car about a decade ago, but sadly or luckily, depending on your point of view, the deal fell through about the time the job I was in fell through. 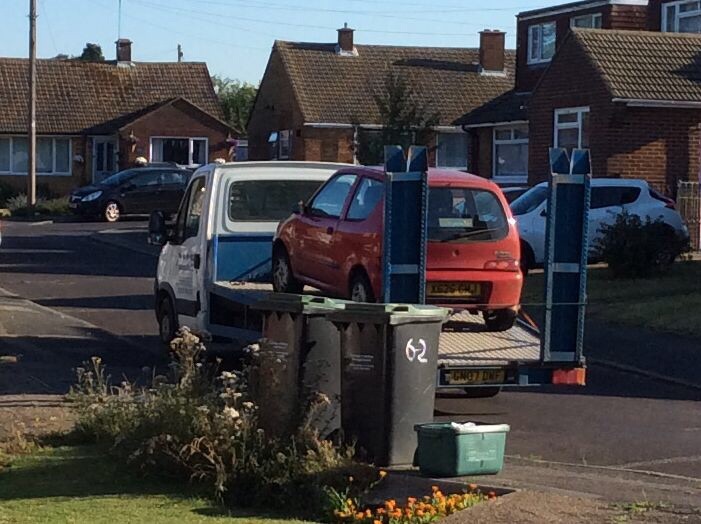 So, while I have had the fun of specifying a new car, I’ve never had the fun of owning one. The “new” car we now own is six years old, and I suppose we paid about a quarter of its original purchase price to acquire it. It is the newest used car we’ve ever owned! It still has most of its original paperwork, including the all-important user manual. Many knobs and dials in cars are self-explanatory. They form a standard part of our world, so you know what the symbol, and hence the function of the switch, means right away. I’m old enough and experienced enough to jump into the drivers’ seat and drive off without having to read the instructions first. There are some controls, though, which are new because it’s a new car—to me, at least. Now, reading through the manual, you discover all kinds of fun toys. Then you discover your car doesn’t have some of those toys, because they are options decided before purchase. For example, we have air conditioning but not climate control. We have front and rear fog lights, but we don’t have the daylight running light option. We have an instrument panel display, but not the very clever one. We have a radio, but not the steering wheel controls. The radio, also, doesn’t connect with my phone by Bluetooth. All these things I thought we might have, because the manual said so. I was aware the manual also appended an asterisk beside many features, which I worked out marked them as options. We have some options, but not others. On balance, I think the options we do have are the sensible ones, though I would appreciate the reversing sensors! Part of the fun of acquiring a “pre-enjoyed” vehicle is the journey of discovery as you work out what the original purchaser ticked on the specification list! By turns, smooth and bumpy. That’s how I describe setting up this new home for Snaptophobic. I think Posterous, in their efforts to make blogging as painless as possible, hid the slightly more techy things a bit too far down. I’m geeky by nature, but sometimes I will rather run away from code than try to work out how to do something—even if it is really simple. So far, I have spent way too long trying to work out how to post an update to my Twitter feed from here, something that was a one-click affair at the other place. Anyway, enough complaining. Treat this as a test of a couple of things to see if they work as I want. Normal—whatever “normal” is—service will be resumed shortly.